November sees more interesting obituaries from the Portland Guardian. The Horsham Times is now available at Trove, so I have included obituaries from that paper. 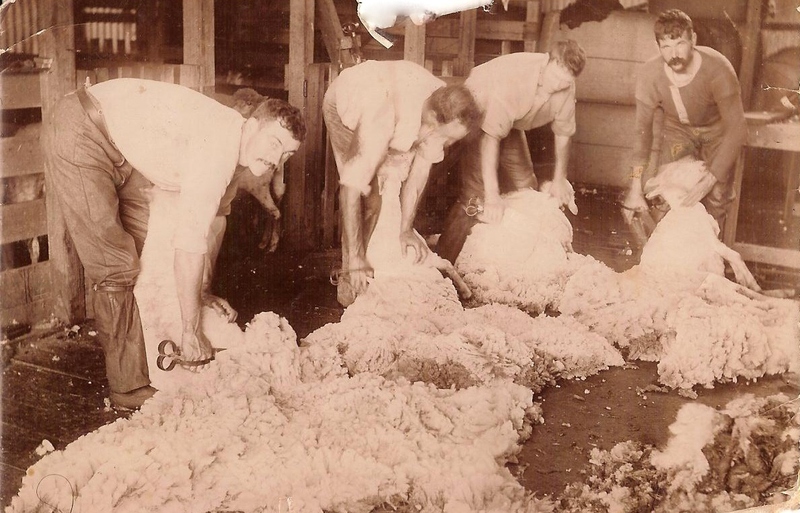 Read about a long time manager of Burswood, the Henty homestead, a man who grew new teeth at 80 and two women who lived in the same houses for over 60 years. Benjamin EDRICH: Died 18 November 1887 at Portland. The Portland Guardian reported at the time of Benjamin EDRICH’s death that another resident “had been removed by the hand of the “Grim Destroyer”. Benjamin had been in the hotel business for many years. George BUSH: Died 18 November 1909 at Portland. George BUSH arrived in Portland in 1853 in his early twenties. A seaman, George was instrumental in rescuing passengers from the wreck of the “Jane” at Bridgewater some years later. Peter GOLDSMITH: Died 23 November 1909 at Portland. Peter GOLDSMITH arrived in Portland in 1853 aboard the Cornelius captained by Thomas H. CLARKE. Clarke’s son Thomas Denton CLARKE was mentioned in the October Passing of the Pioneers. Four months after his arrival Peter GOLDSMITH married Miss BLAY and they had nine children. He was eighty-five at the time of his death. Michael TOBIN: Died 13 November 1916 at Murtoa. The Horsham Times reported the death of Michael Tobin, a Justice of the Peace and former Councillor with the Dunmunkle Shire. Michael arrived at Geelong in 1853, with his parents from Kilkenny, Ireland. He worked with his father who ran a carrying business to the diggings. Michael later lived in the Warrnambool area where he married Mary CLUNE. 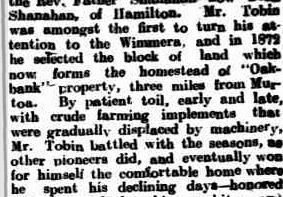 In 1872, Michael was one of the first settlers in the Wimmera. George JARRATT: Died November 1919 at Portland. George JARRATT arrived in 1848 to Portland and married soon after. He and his wife, a daughter of Thomas KEAN, had twelve children. Rose Genevive McCRYSTAL: – Died 8 November 1920 at Caulfield. Rose McCRYSTAL, was the daughter of well-known Portland resident Pat McCrystal. She married W. PEARSON, and moved to Hamilton. After her husband was killed in a buggy accident, she moved back to Portland where she married Antonio RIZZO in 1891. They later returned to Hamilton. GRAVE OF ROSINA RIZZO (nee McCRYSTAL) AND HER HUSBAND ANTONIO RIZZO, HAMILTON OLD CEMETERY. William POLAND: Died 20 November 1922 at Portland. William POLAND arrived in Portland in 1856. 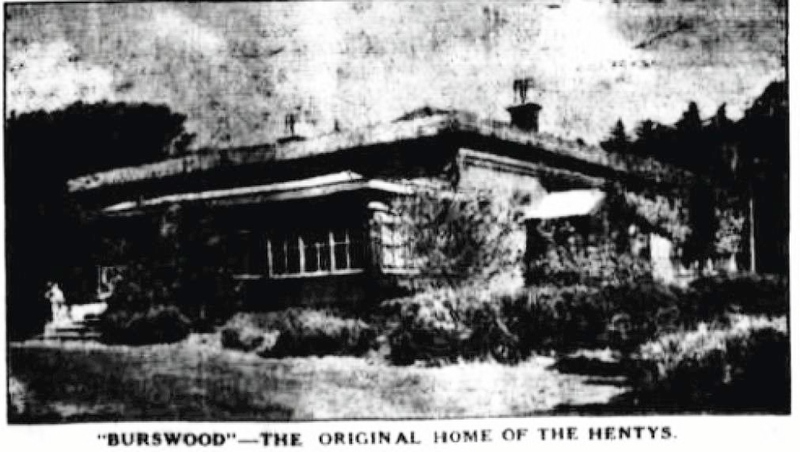 He met Edward HENTY and acquired the position of manager of Burswood, the Henty’s original homestead. William held the position for twenty-five years. Mary Stanton SLEEP: Died 3 November 1923 at Portland. I enlarged this obituary to make sure my eyes weren’t deceiving me. Mary Sleep was ninety-five when she died in 1923, however, the obituary reads she arrived in Portland in 1836 as a married woman! I think this may have been a typo. A check of the Victorian Marriage Index shows Mary married Francis ROW in 1853. Isabella MARSHALL: Died 8 November 1927 at Portland. Isabella MARSHALL managed to pass Mary SLEEP (above) for the longest time in one house. She lived in the same house for sixty-five years. Originally from Scotland, Isabella arrived in Portland aboard the Indian Ocean in 1854 with her husband William ROBB. She was ninety-six when she died and left seven children, twenty-three grandchildren, twenty-nine great-great-grandchildren and one great-great-great grandchild. She was buried at the North Portland Cemetery. Sarah MILLARD: Died 10 November 1927 at Paschendale. Sarah MILLARD was the daughter of William MILLARD of Narrawong. She married William Henry ANNETT in 1870 and they had ten children, eight sons and two daughters. William, or Henry as he was known, was also known as the “Father of Wallacedale”. He died only weeks earlier than Sarah on 29 September. Unfortunately I missed his obituary for the September Passing of the Pioneers, as it appeared in an October issue, but it will definitely appear in September 2012. Henry’s obituary is one of the best I have read, and what a life he led, especially before he married Sarah. If you can wait until next year, this is the link: Obituary of William Henry Annett. I also spent too much time trying to find a link between Sarah MILLARD and William MILLARD, the winner of the first Stawell Gift. He may have been Sarah’s brother, but there were a lot of Millards. Research for another time. Agnes MUIR: Died 10 November 1942 at Horsham. Agnes MUIR arrived in Brisbane with her new husband Ralph CHEQUER in 1886 aboard the Roma, having married in their home country of Scotland before departing. Over the years, they spent time in Melbourne, Portland and Quantong. At Quantong, the CHEQUERS cleared the land and planted orchards and for thirty years Agnes helped Ralph with the orchard work. One memorable event for the CHEQUERS was in 1911 when they travelled to England for the coronation of King George V.
James COLES: Died 18 November 1944 at Stawell. James COLES was born in the mid-1850s close to the Melbourne GPO. After time in Avoca, James moved to Stawell as a teenager, later to marry Louisa GILHAM. He remained in Stawell until his death at ninety-one, aside from a short stint at nearby Fyans Creek. Thomas THOMPSON: Died 17 November 1945 at Portland. Thomas THOMPSON from Ireland began his time in Australia in Western Australia as a miner. Unsuccessful he headed to Victoria and the Portland district. Annie KERR: Died November 1947 at Portland. Annie KERR was the daughter of early Portland residents, her father a doctor. Interesting that he had not practised before his arrival in Portland! Annie went on to marry John NEWTON. 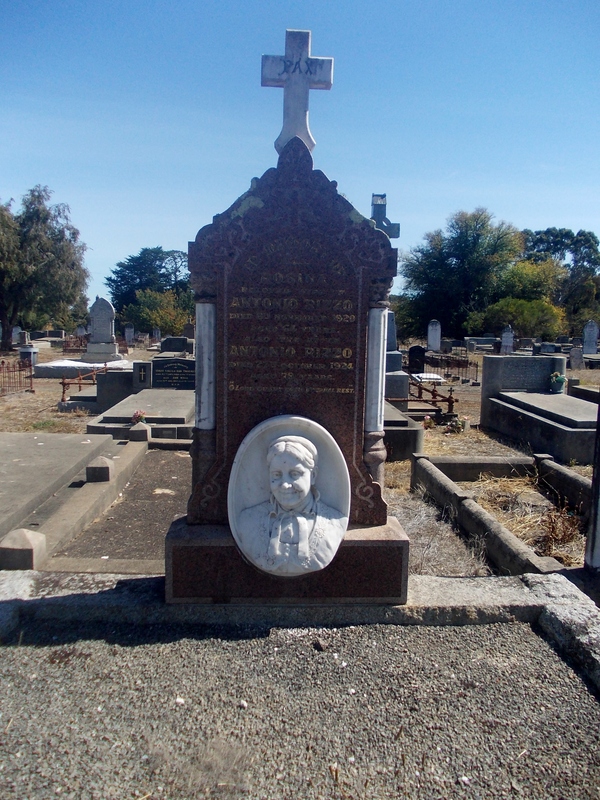 Joseph Levi Richard BAKER: Died 27 November 1950 at Hamilton. Joseph BAKER was born around 1877 and lived in Collins Street Hamilton. He enjoyed tennis and summer trips to Portland. The obituary reported he was known throughout the Commonwealth for his calligraphy skill. He left a wife Bertha and two daughters. Carl Frederick Wilhelm PULS: Died 12 November 1953 at Lower Norton. Carl PULS had many claims to fame, but one was his ability to grow new teeth at the age of eighty. Carl was a respected pioneer of the Horsham district and was sadly found dead by his car after a trip to gather wood. John BERRY: Died 12 November 1953 at Horsham. John BERRY’S death came on the same day as Carl ULS (above). The BERRY family were pioneers in the Blackheath district, north of Horsham. They later moved to Horsham and John attended the Horsham State School. John married Ethel KNIPE of Ballarat and worked at Horsham car dealer Wilson Bolton for over forty years. He held one of the first driving licences in Victoria but had driven previous to that, in a time when a licence was not required…scary. I noted that John had a brother James from Hamilton. This may have been the same James BERRY of James Berry & Sons Jewellers, a long established business in Hamilton when I was growing up there in the 1970s and 80s. 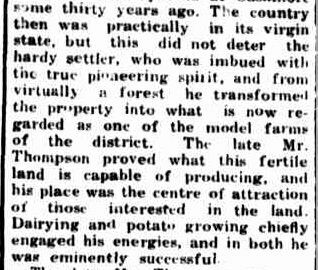 This entry was posted in Pioneer Obituaries, Western District History and tagged Annett, Berry, Chequer, Goldsmith, Horsham, Jarratt, Portland, Robb, Row, Tobin. Bookmark the permalink.